(This particular screening is presented in collaboration with International Women Associates as part of their 2018 China-themed Pre-Gala program). ARTISTIC CHOICE MADE FOR YOUR INFO: While the film was set in Hong Kong and the local dialogues are Cantonese and not Mandarin, we are showing the Mandarin version of the film. This decision is made based on a) majority of audiences in Chicago are more familiar with Mandarin; b) the two lead actors of the film are originally from mainland China and do not speak Cantonese well. All the Hong Kong based cast are however fluent in Cantonese and Mandarin. Therefore instead of showing the film with actors' voices dubbed we are showing the film in Mandarin so that all the actors' performances are not compromised. Synopsis: Our Time Will Come portrays a chapter in the history of Hong Kong’s wartime era that has never been told in film. Tracing the story of the famous Dong-jiang guerilla unit, the film vividly brings 1940s Hong Kong back to life as a result of intricate and detailed research by director Ann Hui and her production team. 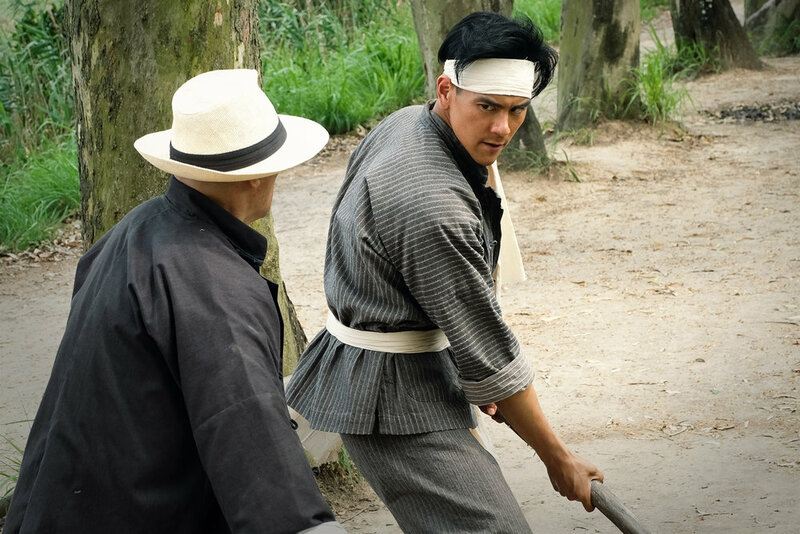 Every historical detail was studied to accurately recreate the world occupied by real-life heroes Fang Lan, played by Zhou Xun and Blackie Lau, by Eddie Peng. "...Our Time Will Come serves as a classic Casablanca-style wartime drama..."
"...a beautifully mounted and emotionally engaging piece." "By highlighting the value of artists and intellectuals, and the importance of protecting them, she imbues the authentic historical episode with timely universal relevance." "Our Time Will Come is a subtle, moving study of Hong Kong's WWII resistance movement"